In the first 40 minutes of the film, I thought I was done with it. I thought I couldn’t appreciate this piece. It kills me inside to see some people die performing magic tricks. Having a locked water tank as your deathbed isn’t the most desirable, taking into account the presence of a large audience. But there is something about the The Prestige that keeps you glued to the movie, maybe it’s the layers upon layers of intrigue and complexity which never stops building up, maybe it’s the interesting character relationships, or maybe it’s just as simple as finding out the solution to the trick. The film tells a story about an increasingly heated rivalry between two magicians. Set in the 1890s, Angier and Borden were once friends, performing in the same act, but has since began separate performances after the death of Angier’s wife in one of their partnering acts due to Borden’s “mistake”. The two magicians compete one another for crowds, status and even love. Angier, knowing that Borden has had better tricks up his sleeve, requested the help of renowned inventor Nikola Tesla to construct a machine which harnesses real magic in an attempt to defeat him. Like most of Christopher Nolan’s films, The Prestige’s timeline is not chronological. This essentially makes the film an intriguing puzzle to solve. The jumbled up pieces of the film’s story reflects the increasingly messy lives of the magicians, especially for Angier, as his life slowly crumbles apart in his journey for success. 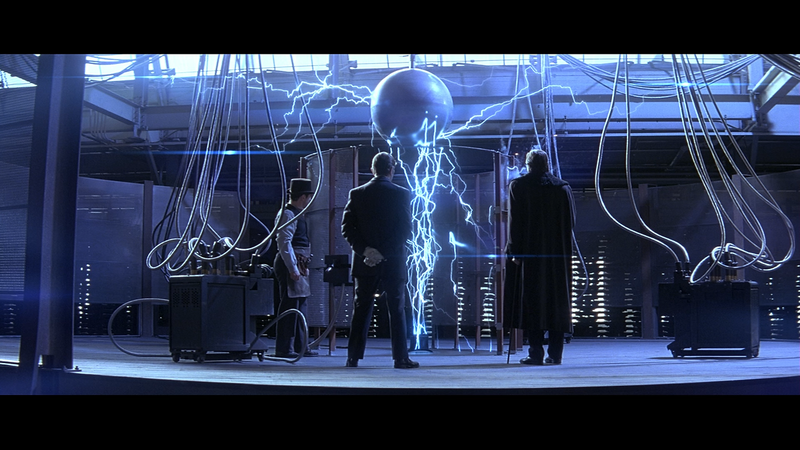 The Prestige also relies heavily on misdirection, from start to finish, the film offers copious amounts of foreshadowing in the form of seemingly throwaway scenes and lines of dialogue that upon a second viewing, one can truly appreciate the level of effort put into the film’s story, and we truly understand the film’s twist isn’t a cop-out, but rather carefully crafted for the entire 2 hour span of the film, making for a truly psychologically impactful journey. I would highly recommend The Prestige if you’re looking for a thought-provoking film envisioned by one of the greatest directors of the 21st Century. The Prestige is absolutely suspenseful and mysterious, with a seemingly complex story, which upon a second viewing, actually is quite simple, albeit extremely well made. Do pay attention to how Angier and Borden play their tricks and don’t miss a single detail.